Home Historical Mysteries The strange story of Countess Elizabeth Bathory, Vampire, Witch, Killer! 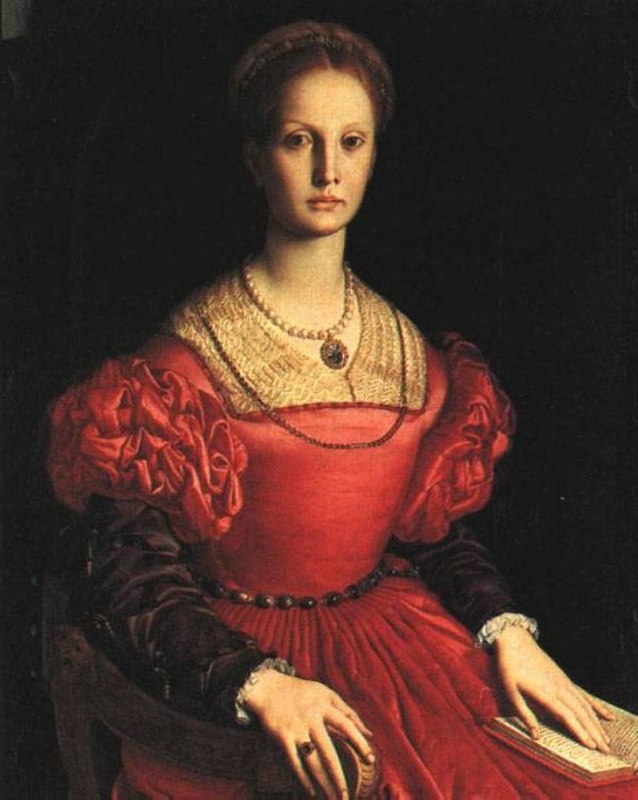 The strange story of Countess Elizabeth Bathory, Vampire, Witch, Killer! This is the true and shocking story of Lady, Tiger of Csejthe, or Blood Countess, Erzsébet (Elizabeth) Báthory of Hungary. the blood of the 650 servant girls she raped, tortured, drank the blood of, and then murdered. Upon her arrest, she was condemned to life imprisonment and walled up in a tower of her castle. 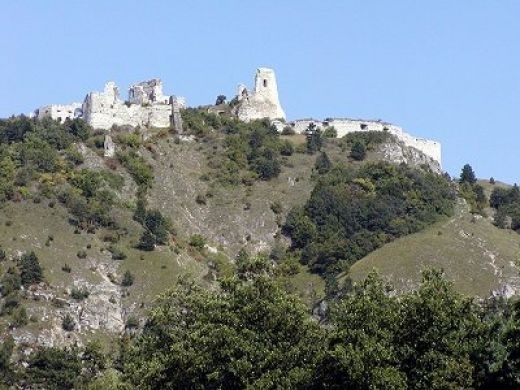 Bathory was living in Castle Csejthe, just outside of Bratislava when rumours of mass killings started to circulate in the mid 1590’s. 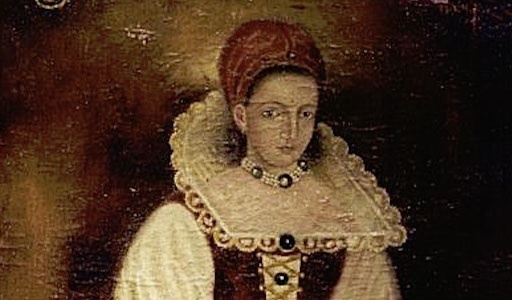 By mid 1596, Erzsébet Báthory, still living in the Castle, had three living children: daughters Anna, Orsolya (Orsika), and Katalin (Kata), and was pregnant with son András. Records show it was from this year that the reports started of the Countess, along with her daughter Anna, and other accomplices, killing dozens of children, exclusively servant girls between the ages of 10 to 14. Later, all of the accomplices would agree that Anna Darvolya taught them how to torture and kill these children, and all agreed that Countess Báthory took a whip, cudgel, dagger, fire iron, needle, or cutting sheers to them, as well. It is also reported that the Countess bit out pieces of flesh from the girls, and she also attacked them with knives and tortured them in various other ways. The real castle, as it is today. This shocking killing spree continued for years, until orders from the king delivered on December 27th, 1610 sent Thurzó, from Bratislava on a two-day ride to Castle Csejthe. He and his men arrived on the night of December 29, 1610, prepared to apprehend Countess Erzsébet Báthory and her . When his men entered Castle Csejthe that night, as György Thurzó’s letters detail, they found the bodies of dead or dying girls strewn about, all having suffered from torture: beaten, flogged, burned, and stabbed. Within a few hours, over 100 additional bodies and victims would be found within the castle itself. This is her statue! Why ? Why? Thurzó arrested the countess, and all her children and accomplices and took them to Bratislava for trial. Due to her position, and showing mercy the King finally stated that Countess Báthory would not be brought to public trial. Thurzó immediately brokered a clever deal: in light of the evidence, he recommended his original sentence of perpetuis carceribus (life imprisonment) rather than the death penalty. By order of Parliament, the name of Erzsébet Báthory would never again be spoken in polite society. Stonemasons arrived shortly thereafter to carry out her final sentence: she was never to be let out of confinement. Here lays a Vampire, for a few years anyway! 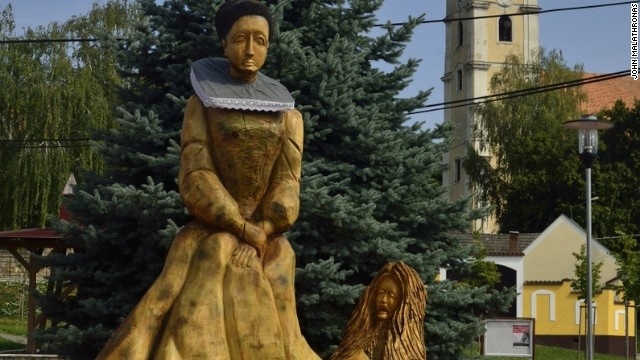 On during the night of Sunday, August 21, 1614, Countess Erzsébet Báthory, passed away, and was found the next day. 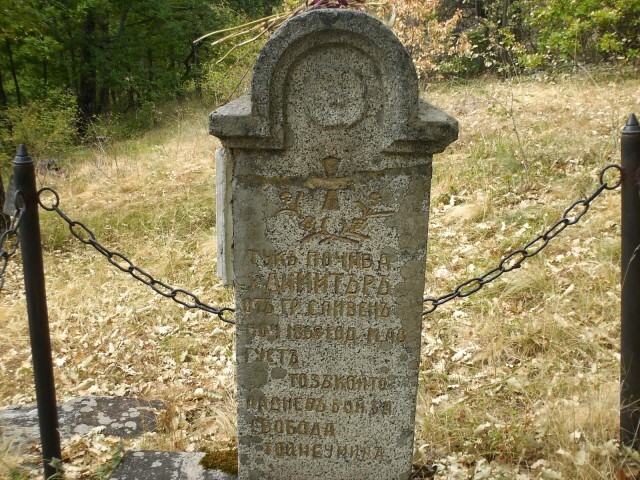 According to a servant of her son, Pál Nádasdy, Erzsébet was buried at the church in Csejthe on November 25, 1614. Her remains were supposedly taken back to the Báthory family estate in 1617. Reports from November 1619 claim that her grave was found, dug up, and her body missing – later that month, the bodies of a number of young girls are reported as being discoverd, near Csejthe Caetle, drained of blood. Did the countess rise from the dead?